Mallet tank No. 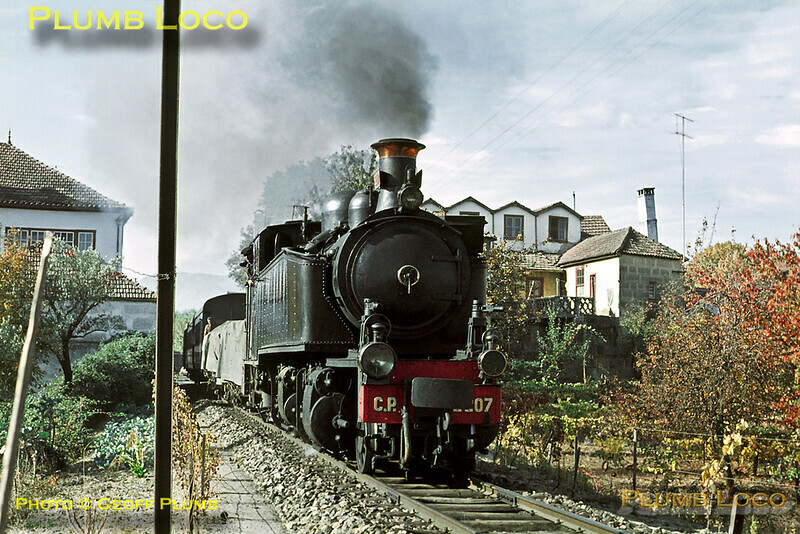 E207 has taken water at Vila Real and now sets off from the station for the rest of its journey to Chaves, with the 10:21 train from Régua. The line is still open from Régua to Vila Real, sadly, the remainder of the line has been abandoned. Wednesday 4th November 1970. Slide No. 5770. Sadly this is no longer the case the track was taken up in 2009 to be replaced. It was not so and as from 1 January 2012 the replacement bus service was stopped and service between Régua and Vila Real closed permanently. Similarly the services to Amarante and Mirandela have been lost.